Slideways Go Karting Brisbane is your home of corporate go kart racing, only 10 minutes from the CBD! 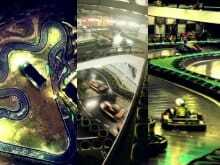 Think Slideways Go Karting Brisbane at Eagle Farm for your next Brisbane Conference Venue! No matter what your business is or your group size, Slideways can tailor a go karting package to your individual needs. Looking to entertain guests, reward staff, or impress important clients? Look no further than Slideways Go Karting Brisbane at Eagle Farm! Over the years, Slideways has provided team building activities to thousands of Brisbane based and visiting companies. One of our big draw cards is our central Brisbane location – we are less than 15 minutes from the Brisbane CBD, 10 minutes from Fortitude Valley, and only five minutes from Brisbane Airport, with our indoor venue racing rain, hail or shine! With Brisbane Airport just around the corner, we specialise in conferences with guests fly in, while we also have a focus on Christmas Parties, Bucks Parties and Hens Parties. If you have a group of 10 or more racers, our group racing packages are ideal. Please click here for prices. We will guarantee the track exclusively for your group during your on track sessions, which will be formatted as a race meeting, with qualifying and full grid starts. Electronic timing down to 0.001 of a second determines bragging rights, while trophies (and wooden spoons) are available for your own personal podium presentations. 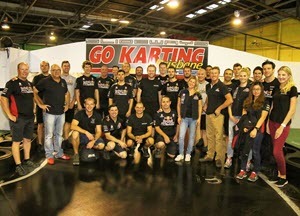 Our professional and courteous staff are always on call to make sure your day runs as smoothly as possible with our market leading European Sodi Karts on our unique race circuit, Brisbane’s only indoor kart track. For larger group bookings, exclusive venue hires are available offering you maximum track time and value for money. Catering packages can be provided for a range of budgets, or if you are a chief on the BBQ, free facilities are provided. Our purpose built function room and party venue is now open! Large soundproofed space overlooking the track! For further information, call (07) 3868 2225 between 10am – 10pm daily, or feel free to fill out the form below, and our event planners will be in touch shortly. Enter your details here to receive a Slideways Info Pack!